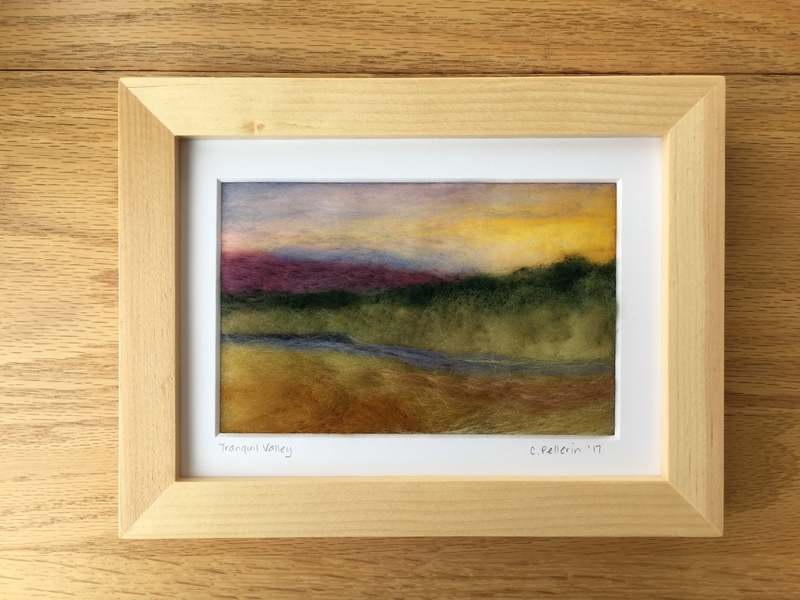 Member artist Chris Pellerin has been working on small needle felted pictures inspired by the New England landscape. This technique uses only a barbed needle and fine wool fibers to create the effect of a watercolor painting. There are several designs currently displayed at the gallery.